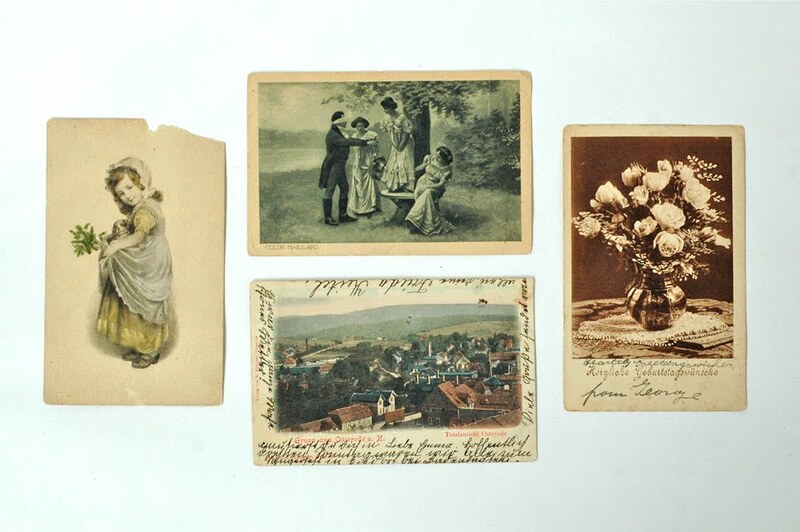 Vintage postcards (part of larger collection). I am loving seeing glimpses of your collections. 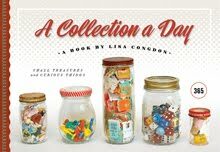 I too have many collections and I just love the way you are documenting them here. I only found your blog a few days ago but have looked back. Great! I love that, I've just discover your blog tonight and really enjoy it!!! 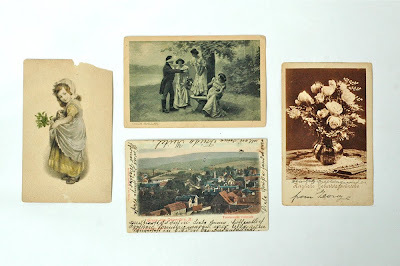 Vintage postcards are my favourite, i've got a little collection from the beginning of the 20st century; I will certainly show them on my blog one of these days. oooh! vintage postcards are one of my passions, too. i lean towards the quirky image rather than the traditional. love these. I just discovered this, you, your collections, love it so much. I have so many of these things that I never know what to do with any of them...I wish you lived closer, I would send a whole bunch in the mail but then again, you have already covered most of them..v. exciting nevertheless. i just blogged you. I have a little collection of vintage postcards, too. They are so lovely. Thanks for sharing this! Vintage postcards are so charming! Lovely!